The current Thai obsession is Golf. 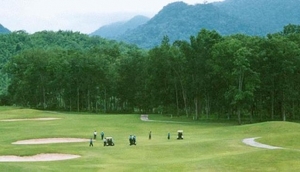 There are many courses surrounding Pattaya some exclusive, but all open to visitors. Tiger Woods is half Thai , after all. If you don't feel like 18 holes then there are driving ranges throughout the area, many of which have putting and ,pitch and putt facilities.